[Johannesburg, 20 November 2007] – Another major player in the South African cellular services market has contracted eBilling specialist Striata for the provision of secure document delivery services. Independent cellular services provider Altech Autopage Cellular selected to partner with Striata for the sending of statements to customers that have requested the documentation by email. Veronica Haupt, Head of eBilling Sales at the Johannesburg office of Striata, said the solution proposed for Altech Autopage Cellular provides a significantly higher level of encryption than that generally available for PDF. 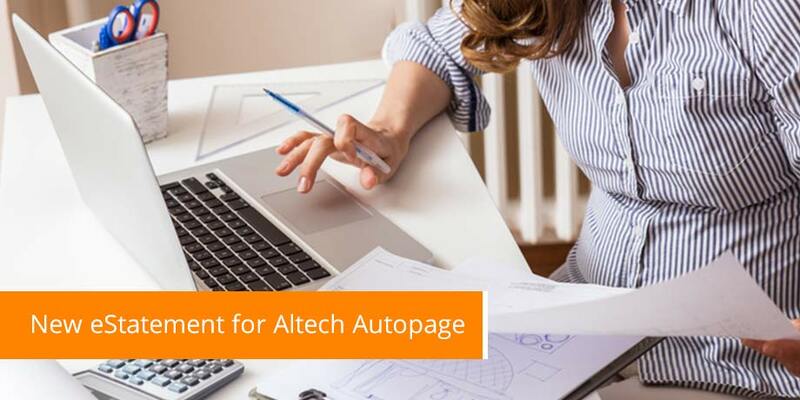 This provides a SARS-compliant solution – which means that for those customers who choose electronic billing, Altech Autopage Cellular can switch off the paper. “The solution will be hosted by Striata. We will provide Altech Autopage Cellular with tracking services for detailed reporting on delivery and non-delivery of statements. There are also options to clean up email addresses as well as a campaign to obtain correct email addresses,” said Haupt. A variety of these campaigns to promote eBilling will be considered and Haupt said the encrypted email service is scheduled to go live this month (November 2007). Altech Autopage Cellular is the largest independent service provider in South Africa with a nationwide network of partners.